Nigeria’s most popular blogger who was said to be in trouble with the Federal Inland Revenue Service (FIRS) for evading a N75 million tax bill, has responded to the viral rumours saying that she works as an individual and not a company. Earlier today, it was widely reported online and on social media that the Federal Inland Revenue Service revealed that self acclaimed Africa’s richest and most famous blogger, Linda Ikeji, had been evading tax payment, which has amounted to the whooping sum of N75 million. 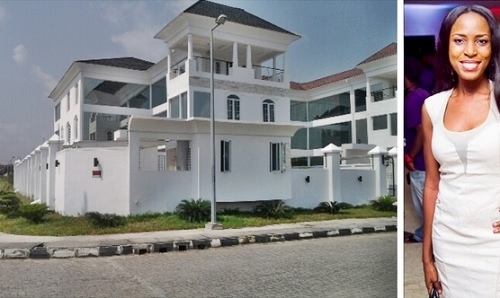 A source who disclosed to an online publication said that when the celebrity blogger was questioned about the purchase of her widely reported Banana Island multi-million naira mansion, and she blatantly denied ownership of the N500 million luxurious property which she reportedly purchased in 2015. Speaking exclusively with PulseNG over the widely report story, Linda Ikeji said that those rumours are false as she works as an individual and not a company. According to her, “FIRS go after companies not individuals. And I was operating as an individual,” she said. She went further and claimed that the banana island multi-million mansion belong to her. “And the Banana house is mine 1000%..lol. Proudly mine and I would never deny it,” she told Pulse. However, the popular blogger didn’t disclose if truly she evaded tax in the tune of N75million or whether she has succesfully sorted out the alleged issues with Federal Inland Revenue Service (FIRS). If You Eat 2 Bananas Per Day, See the amazing thing That will Happen To Your Body !! !